Disclosure: Misikko sent me the HANAair, for the purpose of this post but the opinions mentioned are my own. I recently was sent the HANAair Professional hair dryer to try. I must admit I was more than happy to oblige as I had always wanted to see if the professional hair dryer would make my hair as sleek and shiny as they turn out at the salon. Before I talk about the dryer, I must mention that I was mighty impressed by the packaging and the presentation. It is all about the first impressions with me! It never hurts to go an extra mile ... Right? 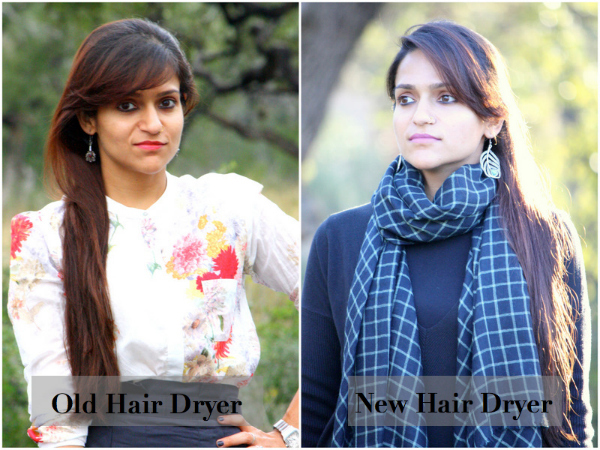 - Extra feature offers a cold burst of air that works to set hair for the final touch. It typically retails for $314.99, but it is available now on sale for just $194.99. The Hana brand also sells several other high quality hair dryers and flat irons.